A stubby, noseless shape allows comfort and pure performance in the aero tuck position required for your fastest triathlon cycling leg. The extra long rail – a super light, allows for maximum adjustment fore and aft to promote the perfect aero riding position. Very nice material and good quality. Comes together with an extra support for bottle cage. FItted and tested already for a few hours and feels very comfortable. Seems to be a successful buy. 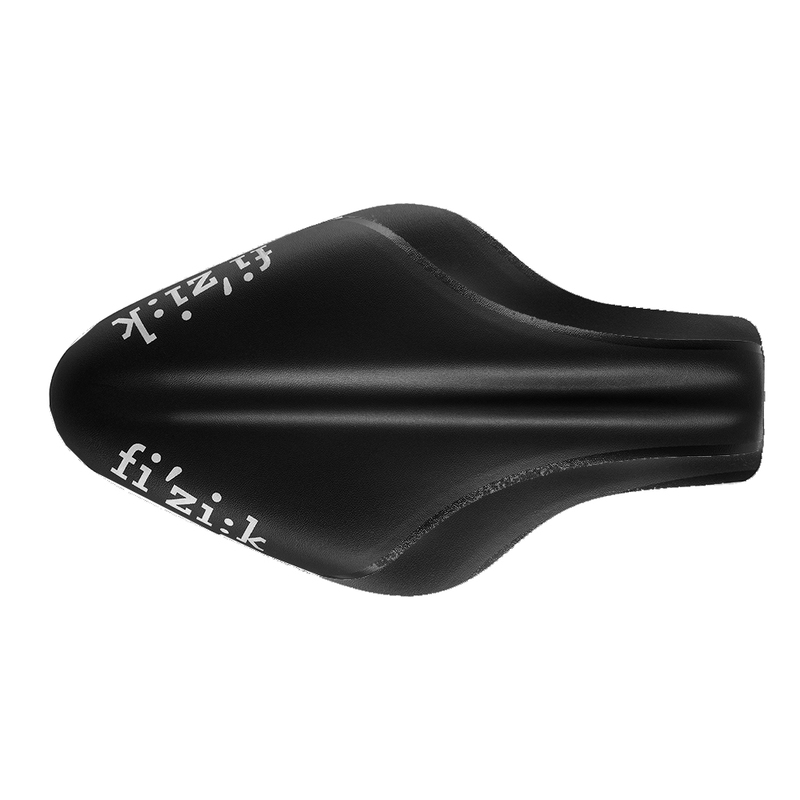 Good quality saddle with a grippy surface to counteract sliding off the nose. The nose is slightly rounded as well, which was an issue with the older Tritone that this replaces. I've logged 20+ hours on the turbo with it so far, with no issues. Much more comfortable than the ISM Attack which it replaces, it has a similar seating position but without the problems the wide nose on the ISM caused me. I've had no chaffing issues or sit bone pain. Comes with a mount kit for adding bottle cages, which will be handy for longer events. I've tried a few noseless/short saddles and this has to be the best so far.